Coordination refers to the organisation of all the activities in an orderly manner, to achieve unanimity of individual efforts in the pursuit of group goals. 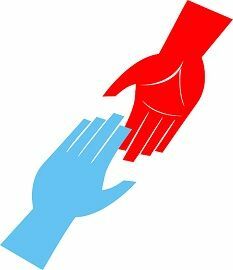 On the flip side, cooperation is a discretionary action of individuals to work together or help one another, for a mutual benefit. It is a joint effort of the members working in the organization for accomplishing a defined target. The 3C’s vital for teamwork are coordination, cooperation and collaboration. It is quite common to misconstrue coordination for cooperation, as both are essential for effective functioning of management. So, the article presented to you makes an attempt to shed light on the differences between coordination and cooperation. Meaning Coordination is the systematic arrangement of various elements of management so as to ensure smooth functioning. Cooperation is described as the act of working together or conforming to standards, for achieving a common goal. What is it? It is a part of management process. It is a voluntary activity. By coordination, we mean a process, used by the management to synchronise various activities in the organisation. It is the force that links all the other functions performed by the management, i.e. planning, directing, organising, controlling, staffing, leading, etc. organisation, so as to make best possible use of organisation’s resources. Coordination plays a pivotal role in maintaining regularity in operations such as purchase, production, sales, human resource, marketing, finance, and so forth, as it is the common thread that connects all the activities. It is something, which is innate in all managerial functions. The process aims at systematic management of individual or group efforts so as to ensure unanimity in action, in the accomplishment of common objectives. Integration of individual and group efforts. We define cooperation as a discretionary activity in which two or more persons join and work together in the pursuit of common goals. In this process, the members of the organisation make combined efforts, for deriving mutual benefits. So, every participant is expected to actively participate in the group activity, only then they can be better off. Cooperation is present in all the levels of the organisation and takes place between the members of the organisation. Apart from business, cooperation also occurs at the national and international level, i.e. between different states and countries of the world. Through cooperation, the information can be shared among participants easily, which increases the knowledge base, work performed and resources, in an adept way. The systematic arrangement and synchronisation of different elements of management so as to ensure, smooth functioning, is known as coordination. The act of working jointly or complying with standards, for the realisation of common goals, is called cooperation. Coordination is a fundamental activity of management; that helps in attaining harmony in action among various interdependent activities and departments of the organization. On the contrary, cooperation depends on the will of any person, i.e. to work with or help someone voluntarily, for accomplishing common objectives. Coordination is a contrived process, performed to integrate different activities of the organisation. Conversely, cooperation is a natural process, which is not planned in advance but occurs spontaneously, out of mutual respect. Coordination is a continuous function of management. Hence, it is for the long term. As against this, the cooperation of persons is required for accomplishing a task or activity, thus, it is for short term only. Coordination may result in the establishment of the formal and informal relationship. Unlike, cooperation give rise to the informal relationship between individuals. In coordination, there is open communication between all the members of the organisation. As opposed, tacit communication takes place between individuals in cooperation. Coordination of activities is performed at top level management, whereas cooperation is performed at each level. There are end number of advantages of coordination, which includes independence of activities, synergy and specialisation. On the other hand, Cooperation associates people to work together, which increases knowledge base, resources, reduces, time cost and efforts of individuals. So, both the activities should go hand in hand, as cooperation without coordination is just a waste of efforts. Likewise, coordination without cooperation will result in the dissatisfaction among members. would you please clarify the differences between collaboration, cooperation, and coordination?